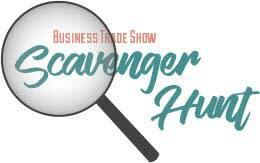 The deadline to purchase Sneak Preview tickets to the 29th Annual Business Trade Show is Thursday, September 7. The Show will take place on September 12 and 13 in the New Braunfels Civic Convention Center and will feature a “Great Films of Hollywood” theme. Tickets can be purchased online at www.TradeShowInNewBraunfels.com. Day Show tickets can be purchased in advance for a discounted price or at the door.